Continental shelf - United States. 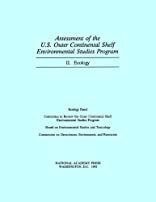 Offshore oil industry - Environmental aspects - United States. Oil and gas leases - United States. "Assessment of the U.S. 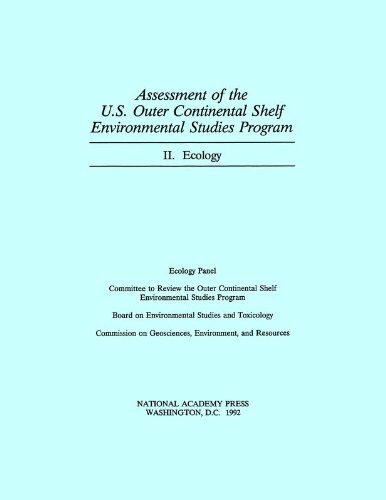 Outer Continental Shelf Environmental Studies Program" reviews the ecological studies done by the Environmental Studies Program of the Minerals Management Service. This program, which has spent $10 million a year on ecological studies in recent years, is designed to provide information to predict and manage the environmental effects of outer continental shelf oil and gas activities. The book considers studies on marine mammals and endangered species, birds, benthic organisms, fisheries, and marine ecosystems and makes recommendations for future studies.